The constellation of satellites charged with maintaining critical communications between NASA’s Space Network and Earth-orbiting spacecraft is about to be expanded by one. 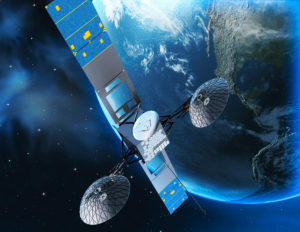 Joining the Tracking and Data Relay Satellite (TDRS) System is TDRS-M, the third and final in a series of third-generation TDRS spacecraft that have taken their places in orbit in recent years. 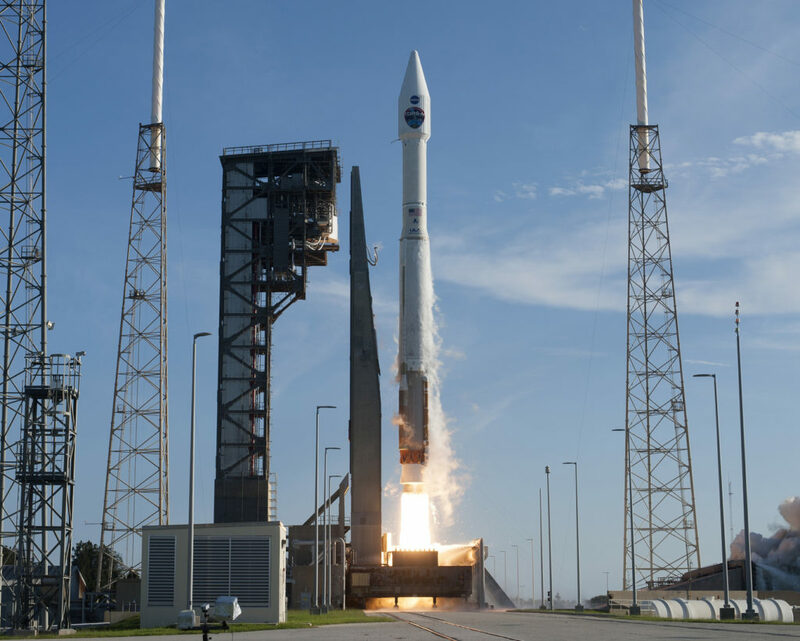 TDRS-M launched this morning aboard a United Launch Alliance (ULA) Atlas V rocket with a liftoff at 8:29 a.m. EDT from Cape Canaveral Air Force Station’s Space Launch Complex 41. With light winds, few clouds and temperatures in the low 80s, weather posed no threat to launch. 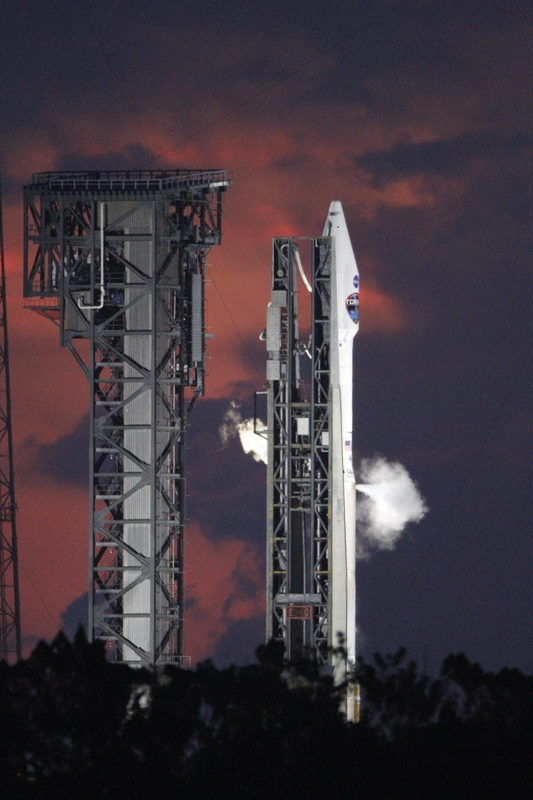 The countdown proceeded smoothly throughout the early morning hours and into propellant-loading operations, when engineers noted an issue with the Centaur upper stage’s liquid oxygen (LOX) chilldown system. “As we were chilling the Centaur engine down, we noticed one of the chilldown parameters on the thermal conditioning for the LOX side was not quite getting cold enough” in time to permit liftoff at 8:03 a.m., when the 40-minute launch window opened, NASA Launch Manager Tim Dunn explained. 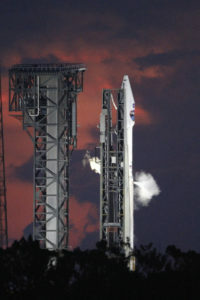 The team methodically worked to resolve the issue while maximizing that window of opportunity, and the issue was resolved in time for launch officials to set up for a successful liftoff at 8:29 a.m.
TDRS-M’s predecessors, TDRS-K and TDRS-L, also launched on Atlas V rockets from the same launch complex in January 2013 and January 2014, respectively. 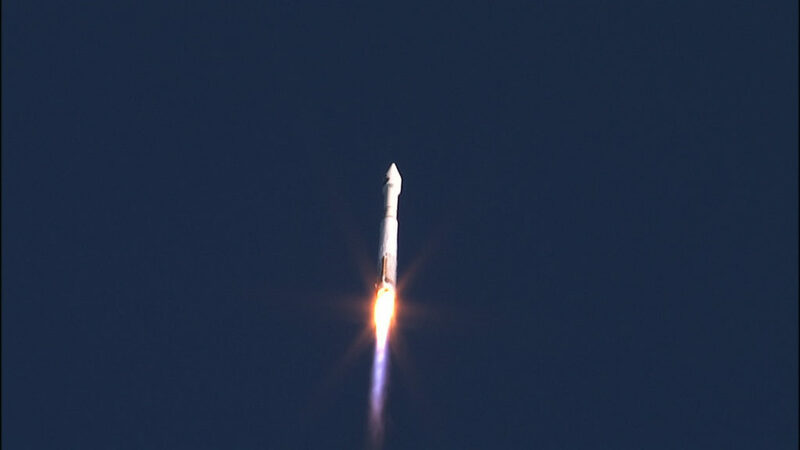 Today’s launch marked the 72nd liftoff of an Atlas V.
More than an hour and a half after launch, the TDRS-M spacecraft separated from the rocket’s Centaur upper stage, heralding the end of the launch effort and the mission’s beginning. Following several months of calibration and testing, TDRS-M will be renamed TDRS-13, and it will be eligible to begin supporting NASA’s Space Network. For further updates, visit http://www.nasa.gov/tdrs. TDRS-M is free of the Centaur upper stage following this morning’s climb to orbit aboard an Atlas V rocket that lifted off at 8:29 a.m. EDT from Space Launch Complex 41 at Cape Canaveral Air Force Station in Florida. MECO2 – the Centaur has finished its second burn, starting a five-minute coast prior to spacecraft separation. Ignition and full thrust on the RL10. Chamber pressures look good. The final Centaur burn is coming up in two minutes. This will be a one-minute burn of the Centaur’s RL10 engine. There are approximately 15 minutes remaining in the coast phase. The Centaur upper stage and TDRS-M spacecraft remain attached in anticipation of one final burn by the Centaur’s main engine. 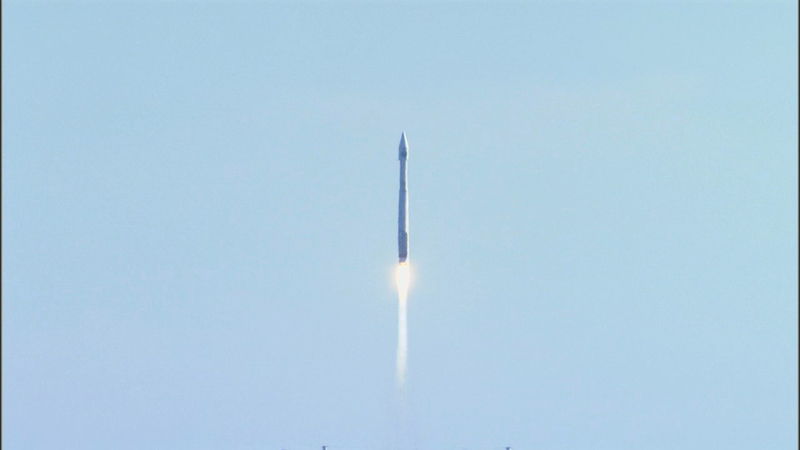 The flight has gone smoothly following liftoff aboard a United Launch Alliance Atlas V rocket at 8:29 a.m. EDT from Cape Canaveral Air Force Station’s Space Launch Complex 41. 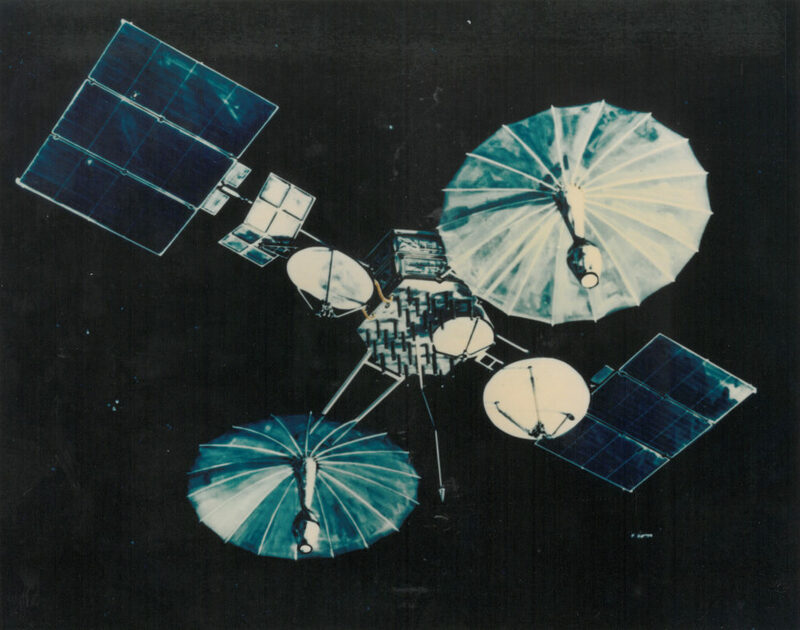 Illustration of a first-generation Tracking and Data Relay Satellite. Today there are nine TDRS satellites in orbit at fixed points more than 22,000 miles above Earth’s surface. Two ground-based stations in White Sands, New Mexico, and one in Guam form the NASA Space Network. Together, the NASA Space Network and TDRS System provide a reliable high-bandwidth link to the International Space Station, the Hubble Space Telescope and a host of other orbiting missions. The TDRS-M satellite that launched earlier today is the third and final in the system’s third generation of spacecraft. Once TDRS-M separates from the Centaur and begins its mission in space, it will go through a three- to four-month period of testing and calibration, followed by an additional three months of initial testing. At that time TDRS-M will be renamed TDRS-13, and it will either be put into service or stored in orbit until it’s needed by NASA’s Space Network. The Centaur’s main engine has finished its first burn and cutoff (MECO1), kicking off a coast phase lasting about an hour and a half. Updates during the coast phase will be less frequent, but of course we’ll provide status and let you know when it’s approaching time for the second Centaur engine burn.